When it comes to aging gracefully, one of the greatest fears adults experience is losing one’s mobility. The truth is, it’s not simply an injury like fracturing a hip in a fall or a condition like Multiple Sclerosis or Parkinson’s that can lead to mobility problems. Age-related joint discomfort, leg weakness, and even coordination problems can all take their toll on your ability to stand and walk with ease. We will talk about Yoga to strengthen mobility in this article. A loss in mobility or even minimal mobility limitations can quickly affect activity levels and your aptitude for exercise, how much you get out of the house and interact with others socially, as well as your overall health and longevity. At a critical junction where mobility might be becoming an issue, the good news is there are ways to fight back and retain the functionality that allows you to do things like drive, exercise, socialize, and pursue hobbies and interests. Yoga is one of the most accessible low-impact exercise for adults with mobility issues because it can be adapted to a variety of modalities. How exactly do muscles and bones become stronger with exercise? As living tissue, both muscles and bones experience stress with moderate intensity exercise – microscopic tears in muscles are repaired and made stronger by satellite cells and proteins, while bone tissue is reformed by special cells called osteoblasts, osteocytes, bone lining cells, and osteoclasts. Weight-bearing exercises like yoga require the body to work against the force of gravity, i.e. in tree pose or downward dog pose; in doing this, bones and muscles grow stronger and reinforce your foundation for healthy mobility. Lower extremity weakness can be a leading culprit of mobility difficulties, so building muscle and bone mass through routine yoga practice may help. 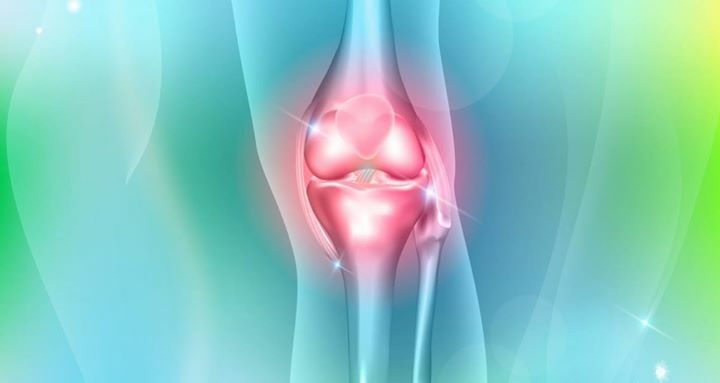 Over 100 different types of arthritis afflict millions of people around the globe according to the Arthritis Foundation, but often the worst kinds are those that inhibit day to day functioning and mobility. Rheumatoid arthritis, for example, can cause painful swelling in the joints of the feet, osteoarthritis often attacks crucial knee joints, and even gouty arthritis can take the big toe out of commission and make walking uncomfortable and difficult. Yoga practice improves joint health by boosting circulation (both of blood as well as synovial joint fluid), strengthening muscles which support joints, and fortifying cartilage in and around joints. Weak muscles can stress and strain joints, exacerbating arthritic inflammation. Yoga practice tailored to someone with arthritis can help loosen stiff joints, strengthen adjacent muscles and tendons, as well as help you keep off unwanted weight (carrying around extra weight can worsen arthritis in the knees, ankles, and feet). Yoga’s powerful ability to reduce risk factors which lead to chronic disease also proves to be a significant bolster to mobility. Multiple studies have shown how yoga can help lower high blood pressure as well as reduce stress, fight inflammation, improve immune function, and combat fatigue. The healthier you are, the more able to you are retain mobility, exercise, and take care of yourself. AARP reports that over 90% of older adults are treated for at least one chronic illness. With rates like this, it’s incredibly pertinent to seek activities which motivate you to stay active and eat well. Yoga also cultivates mindfulness through meditation which can facilitate a keener mind-body awareness to equip you with the tools you need to stave off disease. The soft tissue in your body, like muscles, that stretches with yoga practice becomes more pliable overtime which can aid your mobility. Think about it – tight, stiff muscles tend to contact and limit range or motion, while limber, elastic muscles can fluidly move with ease. Muscle imbalance where one muscle group is larger, tighter, or more restricted than another, can increase risk for injury and cause unnecessary tension and strain that inhibits range of motion. Increased flexibility achieved through the spinal alignment, gentle stretching, and deep breathing of yoga practice can foster more agile and coordinated movements to help keep you mobile longer. It’s so good and encouraging to see the positive feedback!